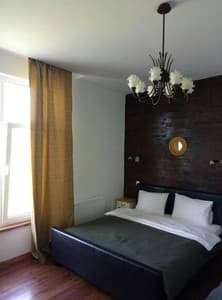 Krai Neba Hotel is located in the village of Zapson, at a distance of 2.8 km from the Kosyno Recreational and Recreational Complex. All rooms have a private bathroom with a shower. Some rooms have a kitchenette. Rooms at the Edge of the Sky Hotel are equipped with air conditioning and a flat-screen TV. It features a seasonal outdoor pool, a garden, a children's playground and free WiFi. The hotel also has a communal kitchen equipped with everything necessary for cooking. 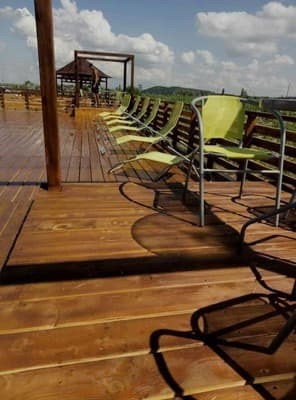 The hotel has a picnic area and BBQ with barbecue facilities. In the vicinity, skiing and other outdoor activities are popular. 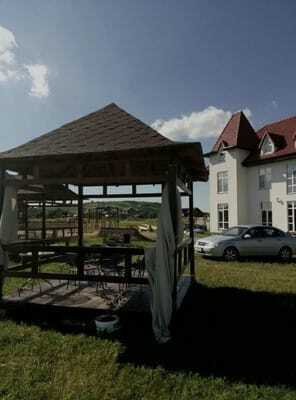 Krai Neba Hotel is located 18 km from the town of Berehove and 34 km from Mukachevo. 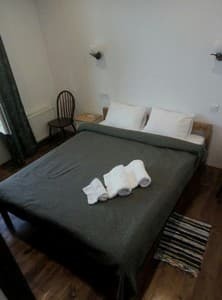 Description of the room: Triple room with air conditioning and cooking utensils. 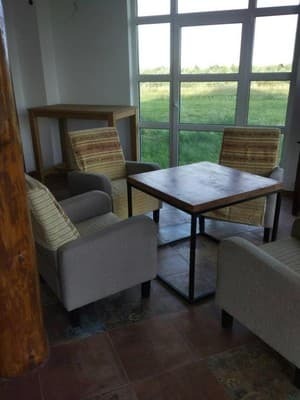 Description of the room: Family room with dining area and barbecue facilities. Nomer s 2 krovatyami razmera "king-size"
Description of the room: Quadruple room with kitchenette, microwave and dining area. Children live free of charge without providing a separate bed. 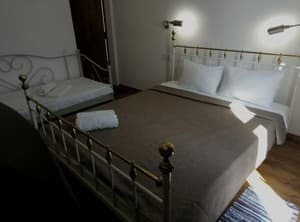 Extra beds are not available in this room. The hotel has a communal kitchen equipped with everything necessary for cooking. 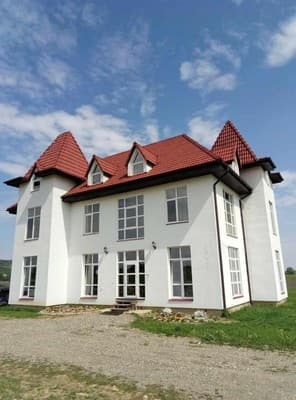 Krai Neba Hotel is located in the village of Zapson, at a distance of 2.8 km from the Kosyno Recreational and Recreational Complex. 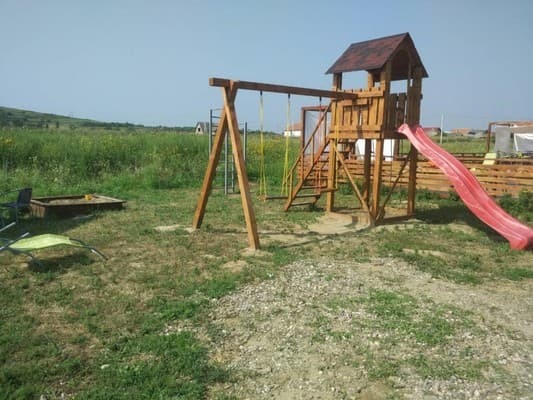 Also the hotel is 18 km from the town of Berehove and 34 km from Mukachevo. From the railway station "Kosyny" 2,5 km through the center of. Zapson in the direction of Berehove.